The Paracelsus Medizinische Privatuniversität or PMU is a private Medical University in Salzburg. 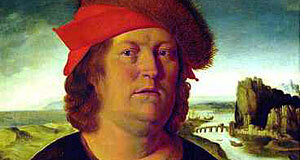 It was named after Theophrastus Bombastus of Hohenheim or Paracelsus, a 16th century physician that worked in Salzburg for a couple of years and is buried at St. Sebastian Cemetery in the Linzergasse. For many years, the Paris Lodron University Salzburg has tried to expand and add a Faculty of Medicine to its portfolio - but failed in these attempts. In 1999, a new law allowed the establishment of private medschools in Austria, which lead to the foundation of a citizen movement to start a Medical University in Salzburg on a private basis. In December 2000, the province of Salzburg gave its support for this enterprise, both morally, and with 10 Million Austrian Shillings in support (about 700.000 Euros). In 2002, the founder of the Red Bull energy drink, Dietrich Mateschitz who also built the Hangar-7, became one of the leading private donators and the application for the public admission process was submitted. In November of the same year, the PMU was finally approved by the federal government in Vienna. The University was founded in January 2003 and started its first course in September of that year. Every year, 42 students are admitted for undergraduate studies of five years. PhD studies in Molecular Medicine take three years and are limited to 10 students per year. Undergraduate fees are 8500 Euro per year - which is unusually high for Austria, where public Universities are 700 Euros per year. Most of the University′s revenue is made through private investments. About one third of the budget is provided by the communities of Salzburg, the city and the province of Salzburg. The remaining two thirds are funded through tuition fees and private donations. One of the most significant sponsors of the PMU is the American Donald Kahn, who paid for the establishment of the University Library alongside many occasions he donated for the Salzburg Festival. The University′s research is focused on the topics Neurology and Psychiatry, Immunology and allergy research, Oncology, Muscle research and biomechanics, as well as Metabolism and Atherosclerosis. The Paracelsus University has vivid collaborations with the Paris Lodron University Salzburg, in particular with the Science Faculty, and with the Mayo Medical School in Minnesota (US). Several hospitals in and around Salzburg support the University or participate in its teaching.